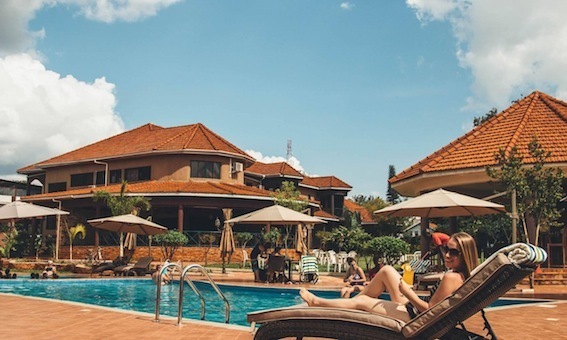 Tranquil, ambient surrounds, personalized service, comfort and great food in an authentically rustic yet elegant hotel with a sister property Gately Inn Entebbe for those needing accommodation on arrival or departure. 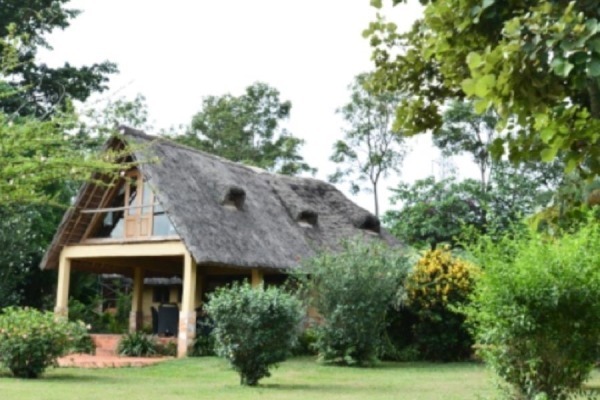 A family hotel located 82 km from Kampala and 9 km from Jinja. We offer our guests a comfortable and pleasant stay. 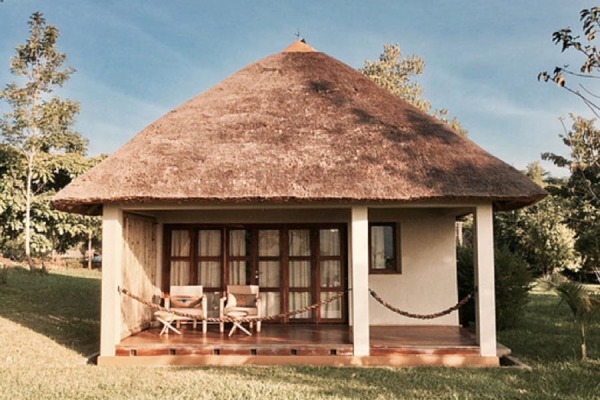 The resort is an ideal base for bird watching, tours on the Lake Victoria, and safaris through East Africa. 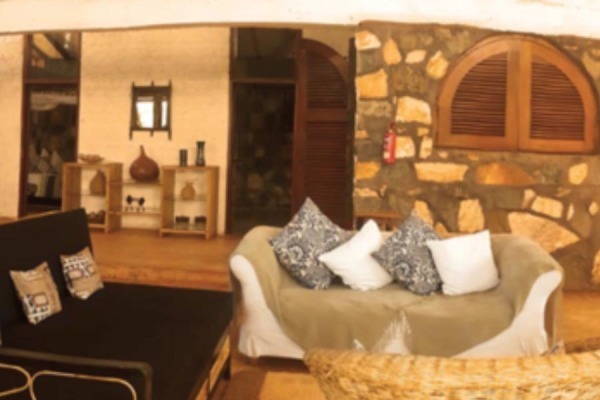 Spacious accommodation feature lush fabrics, en-suite bathrooms, Wi-Fi, flat screen TVs and mosquito nets. For your convenience Nile Village Hotel & Spa offers a 24-HOUR Reception Desk which can assist you with a late check-in or a 2 o’clock cup of coffee. 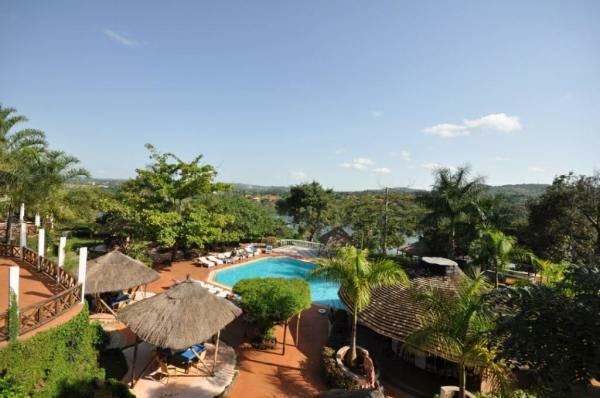 The Hotel is in a safe residential area in Jinja, only 5 minutes from The source of the river Nile & 5 minutes from Jinja town. The Hotel is almost fully organic and built with pure art & design, great breakfast & free fast WIFI! Jinja Nile Resort rests on the banks of this magnificent River and offers magnificent views of the Nile and the rich fauna that it attracts. 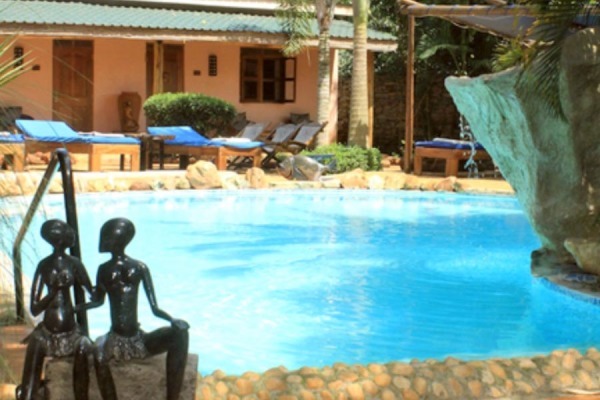 Jinja Nile Resort offers services for both the business traveler and holiday maker. 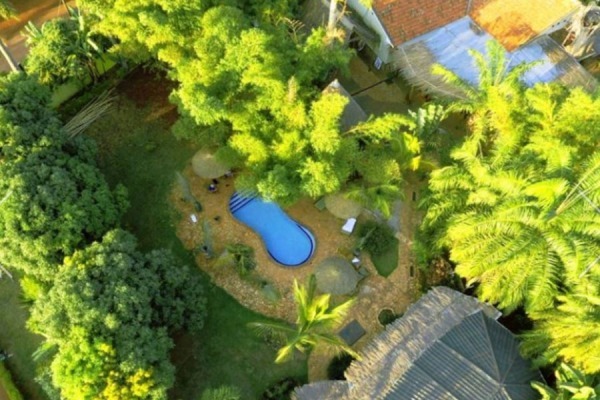 Activities available from the resort include white water rafting and bungy jumping . 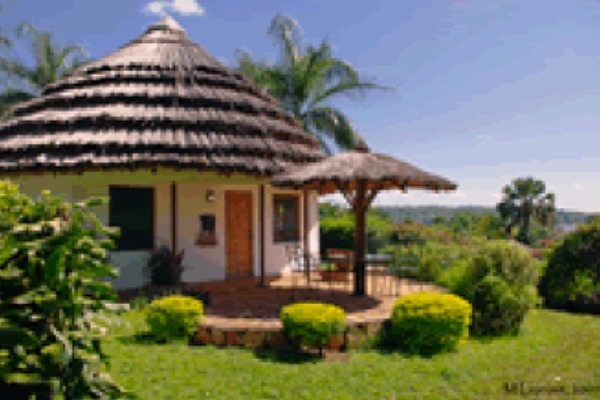 The cottages and hotel services are spread over 30 acres of gardens allowing one to appreciate the beauty of the Uganda…the pearl of Africa.